This economy trophy is big on size and style! 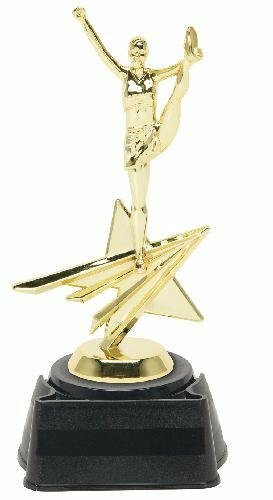 Standing 8.5" tall and featuring a goldtone action figure atop a large round base, there's lots of room to personalize this trophy. Includes personalized plate with up to 4 lines (maximum of 20 characters each line) of lettering.